The Premier of Nevis Hon. 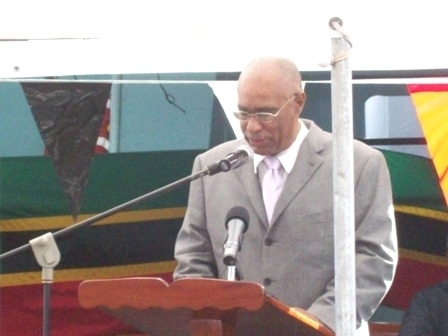 Joseph Parry, the Nevis Island Cabinet and a number of Nevisians observed the 38th Anniversary of the MV Christina Disaster with a memorial service onboard the MV Sea Hustler on Friday, August 1st, 2008. “I feel a great sense of loss and heaviness of heart because this event brings back such bad memories. 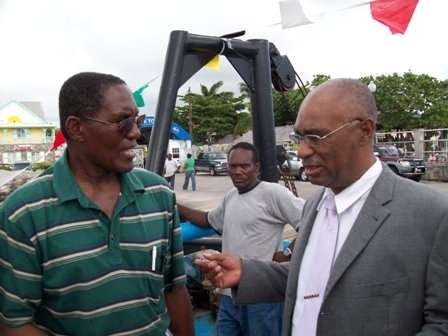 Many of us lost friends and family members but out of that great loss came great progress for Nevis,” said Premier Parry. The Memorial Service not only observed the 236 persons who lost their lives on the M.V Christina on August 1st 1970 but it also recognised the 90 passengers who survived the ill fated trip. Premier Parry noted during his remarks, that many Nevisians were traumatised and because of that pain, a number of people left the island. people could not stand to feel the pain, many people left the island. Of those who stayed around, many developed mental problems. There were no psychiatrists on the island and the pain became so much that they could not stand to be in Nevis anymore. However, with the strength and belief in God we survived.” he said. 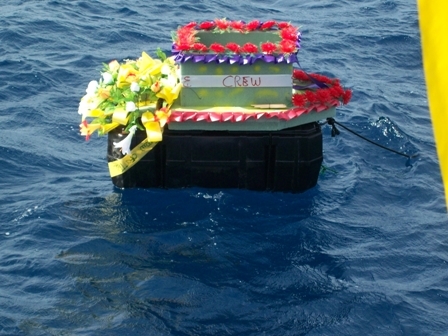 Following Mr. Parry’s speech, a moment of silence was observed then the M.V Sea Hustler passed the site where a brightly decorated box with a wreath was laid before hand by Captain of the M.V Sea Hustler, Mr. Winston “Sonny Boy” Skeete, as he had done for the last few years since the Christina Disaster. During the ceremony, Cabinet Secretary in the Nevis Island Administration (NIA), Mr. Ashley Farrell, presented Mr. Skeete with a plaque on behalf of the NIA in honor of his assistance having rescued a number of persons during the ordeal 38 years ago and for having kept the memory of the disaster alive as part of the St. Kitts/Nevis Calendar. The names of the survivors, as well as the names of those who perished, were read by a number of persons, including Mr. Whitman Browne, noted Nevisian scholar, who wrote two books about the event. Mr. Browne said he was very pleased to be a part of the occasion and noted that the Christina Disaster had become a part of Nevis’ history and no matter how sad, it must never be forgotten. The opening prayer was delivered by Rev. Amos Browne, the scripture being done by Mr. Franklyn Morton. A song was rendered by Mr. Wrensford Dore, while the sermonette was delivered by Rev. Cecele Browne. The closing prayer was done by Father Alric Francis. On the boat’s return to the Charlestown Pier, the Premier and members of the Nevis Island Cabinet headed towards the Christina Disaster Monument on the Charlestown Waterfront, where they individually laid wreaths in memory of those who perished.